After the recent historic massive X-class barrage from our Sun, on first glance, you could think she has gone back to sleep with just one lonely sunspot AR2680 on the visible surface which poses no threat for strong solar flares whatsoever. However, our Sun is anything but asleep as a massive Coronal hole is facing Earth and is spewing a stream of solar wind which is battering the Earth's magnetosphere, see below. 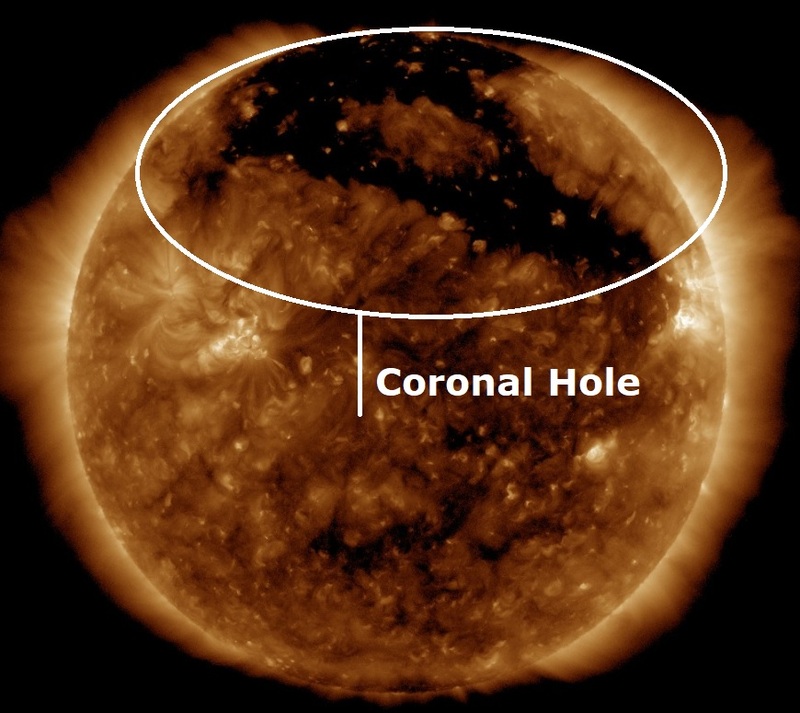 Earth is inside a stream of solar wind flowing from this northern coronal hole. Credit: NASA/SDO. 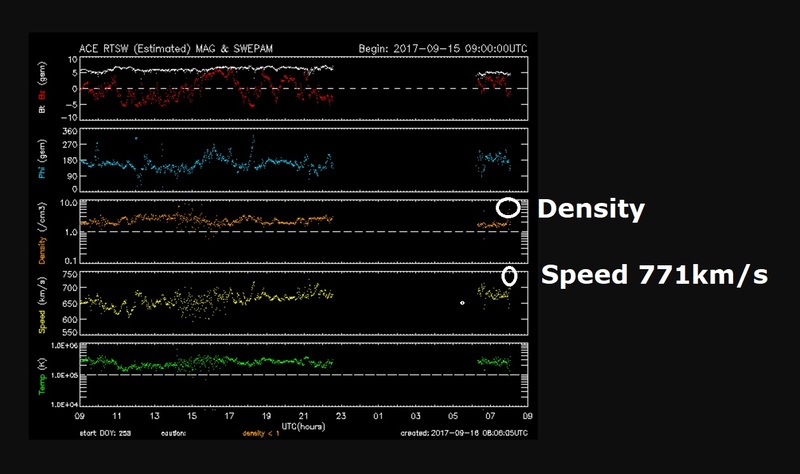 The solar wind is hitting the magnetosphere at an incredible speed of nearly 800km per second, with a density of 4.7 protons/cm3, see below. The barrage is causing an electrified gale that is sparking G2-class geomagnetic storms on Sept 16th, see the graph below. High-latitude sky watchers should be alert for auroras after local nightfall. The geomagnetic storm is the biggest since the monster X-class flares battered Earth's magnetic field with a severe G4-class geomagnetic storm with solar winds blowing at nearly 800km/sec last week. The severe storm was from the monster X9-class solar flare, the biggest since 2005 and the equal 14th ever recorded which exploded from our Sun on Wednesday causing wonderful auroras over Scandinavia and as low as Kentucky in the U.S.